Our Projects — The Sparkle Foundation, Inc. Even though The Sparkle Foundation is in itself new, the Founding Director and a group of friends and colleagues have been running the Holiday Gift Drive for ten years. The Holiday Gift Drive, though, is not the only thing we do. We provide access to sports programs, we provide support to women-owned businesses looking to grow, we create communities that see the value in Sparkling. Below are photos of our amazing community and previous events. 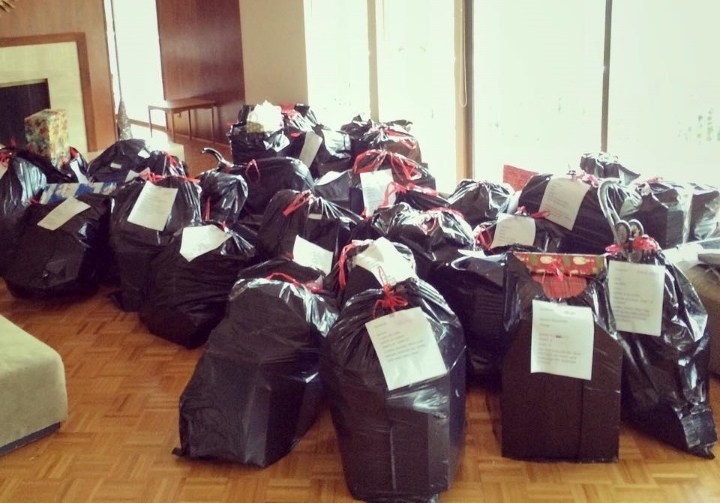 In 2015, the Holiday Gift Drive raised over $30,000 in donations which were distributed to almost fifteen families. In 2016 we expect both donations and number of recipient families to grow. The Holiday Gift Drive provides not just necessities like home goods and bath products, but also toys for the children and holiday decorations. Last year we gave backpacks, dolls, and bikes, bathrobes, beauty products, and gift cards, just to name a few.